Gold Rush Resort Rentals Blog: We've found gold! 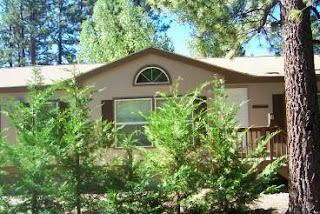 In Big Bear City only a few blocks away from the national forest you can stay in this great 4 bedroom home! Not only does this home have a wonderful game room including a pool table, a 32" inch television and a electric fireplace but once you enter the kitchen you have a popcorn maker and a bread maker too!! The kitchen is spacious and makes any family gathering comfortable with the spacious layout. This home has it all! You're out of the hustle and bustle of the central Big Bear area. With only a quick drive to town and the resorts you can stay at this lovely cabin! Book this beautiful cabin by calling us directly for any specials we may have and rates on this cabin!